Lisa is currently the Vice President Systems Engineering for the Americas at Juniper Networks, providing leadership and driving the technology vision for the Enterprise and Service Provider Sectors. She has over 20 years of networking technology experience in a variety of roles. 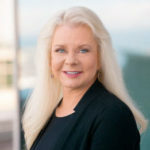 Prior to joining Juniper in 2008, she held leadership positions in Product Management and Marketing (Brocade), Consulting Engineering and Business Development (Atrica/Nokia Siemens), Worldwide Systems Engineering Director (Nortel’s Shasta IP Services BU), and other Engineering roles with Bay Networks, Wellfleet Communications and Shell Oil Company. She holds a Bachelor of Science degree in Electrical Engineering as well as a Master’s degree in Business Administration.